Scientifically speaking, we know more about deep space than we do about the oceans which make up our planet. In terms of our understanding of the seas, we are really just skimming the surface and unbelievably, there is a lot about the earth that we just don’t know. Under the water, things get a whole lot more interesting and the deeper that you go, the more that there is to be discovered. Covering more than 70% of our planet, the oceans of the world are like a treasure trove waiting to be discovered and these incredible places are just the beginning. 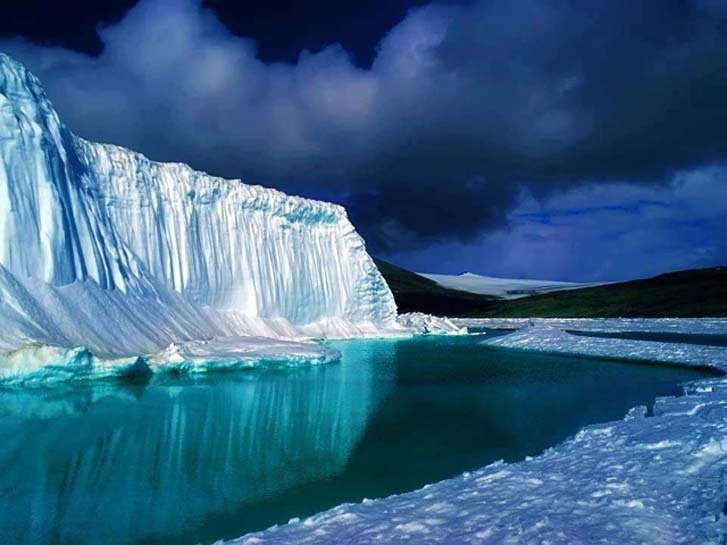 With the majority of its landscape frozen under winter tundra, Russia is rarely thought of as a watery wonder. In its lakes, however, there are marvels to be found. Lake Baikal in Serbia is believed to be the oldest lake in the world, and contains an incredible 20% of the planet’s natural water supplies. Even better, two thirds of the lake’s species cannot be found anywhere else in the world, making it a true researcher’s delight. Described as the ocean’s answer to the Garden of Eden, the Northern Red Sea is one of the most stunning underwater spots in the world. Stretching 169,000 square miles, the water hosts some of the most beautiful tropical fish to be found around the globe. 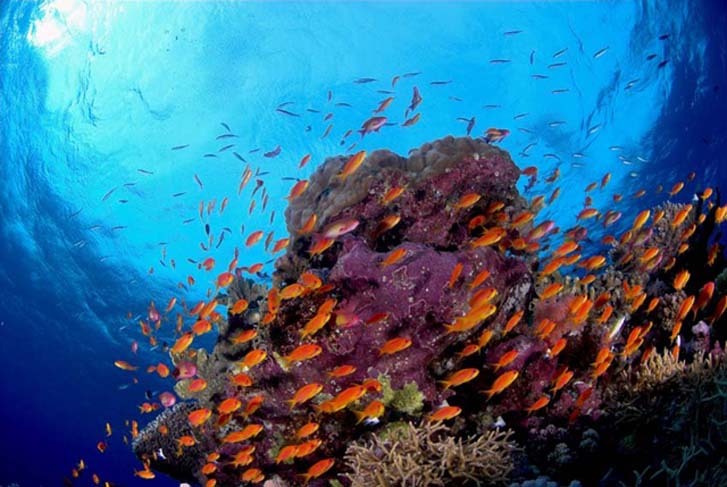 Unsurprisingly, the warm waters are a huge diving hot spot, and attract thousands of visitors a year. 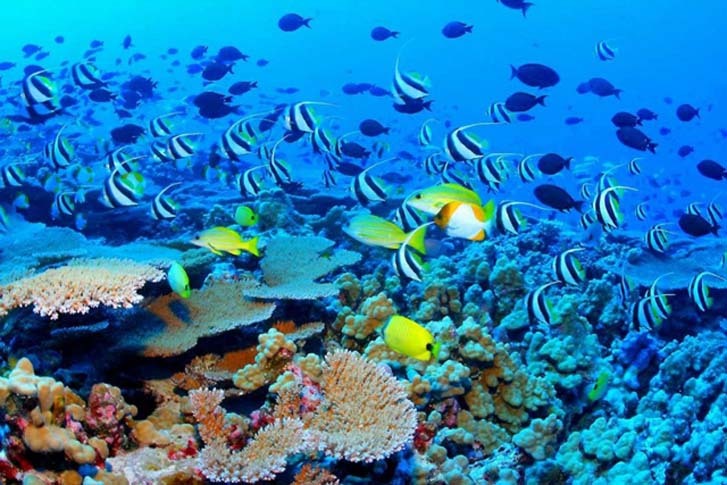 Arguably one of the most impressive natural wonders of the world, The Great Barrier Reef has long been a site of fascination for researchers. Stretching an incredible 1,400 miles, the reef is home to some of the most diverse sea life on the planet. Divers make their way to the spot each year, in the hopes of spotting some stunning tropical underwater life. 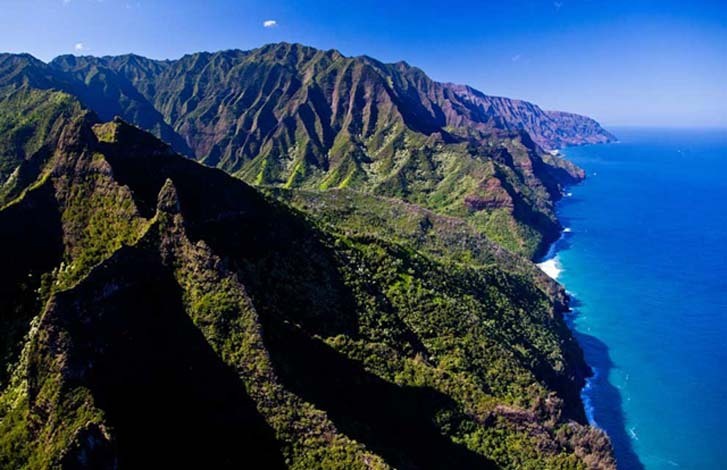 Hawaii is a huge tourist hot spot, and it’s not hard to see why. 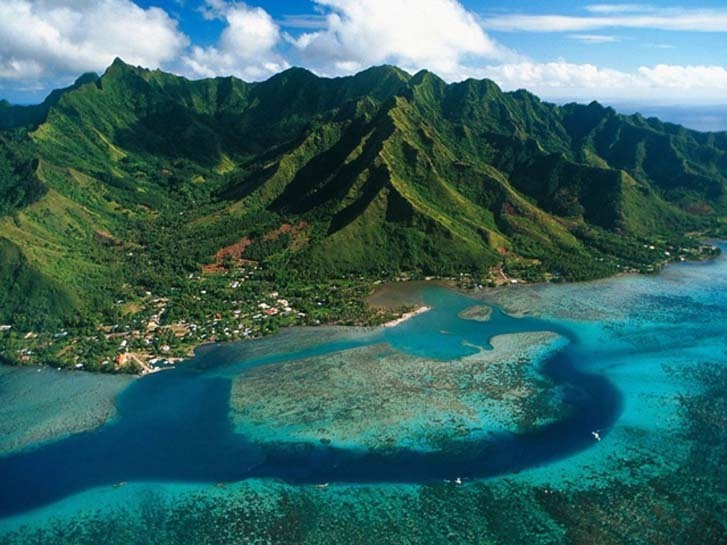 With some of the warmest tropical waters around, the island system is a diver’s paradise. Mauna Kea mountain is the cream of the underwater crop, measuring a height of a whopping 10,100m! Although most of the mountain exists under the water, it is officially the earth’s tallest point, and hosts a dormant volcano system. If you’re a fan of sharks, then you have to head to Cocos Island off the coast of Costa Rica. A diver’s fantasy, the island’s waters are home to dozens of varieties of the fish, who manage to live alongside one another with very little trouble. Other marine life in the area is also worth a see; it’s no wonder that the area is such a diver’s dream! If you thought that Atlantis was the stuff of fairy tales, then think again. While Lion City might be a man-made underwater structure, it is the closest to the lost city that most of us will ever get, and can be freely explored by divers. 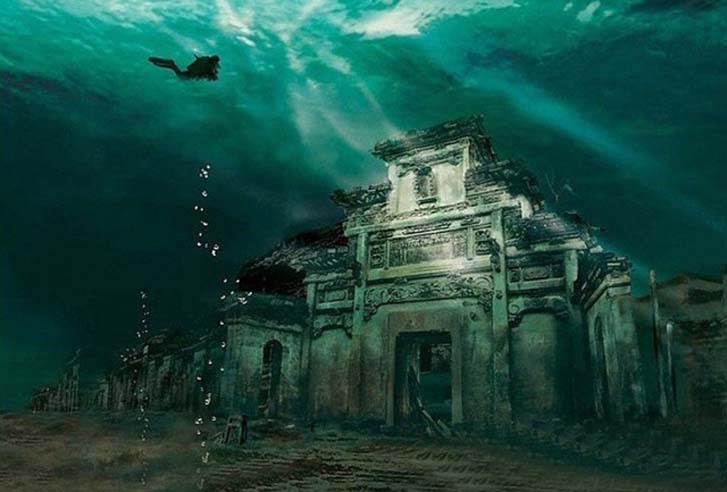 China’s ancient Lion City was flooded in 1959 in order to make way for a new power station and even after lying underwater for over 50 years, the city still remains largely intact. Possibly the most interesting watery site in the world, the Dead Sea in Jordan is truly unique. 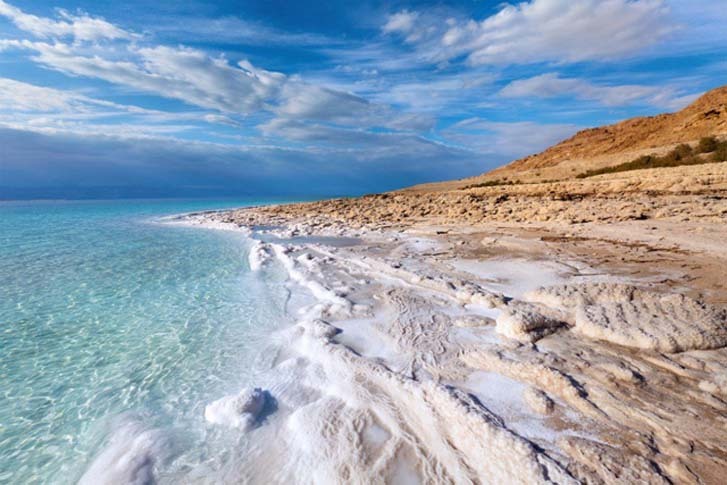 A massive salt water lake, the Dead Sea is nearly 10 times saltier than real sea water and gets its name from the fact that it is almost devoid of any wildlife. Visitors to the sea describe floating on the water’s surface, rather than swimming, the high salinity in the water supporting their bodies more than sea water.